The afternoon ended with Dave Guiles, Charis coordinator and executive director of Encompass World Partners, tracing the history of the Grace Brethren movement. (Click here to read his remarks.) Delegates then moved into small groups to discuss what they learned and to formulate questions they’d like answered before the end of the week. The conference continues at the Vertical Suites Hotel in Bangkok, Thailand, through Friday. 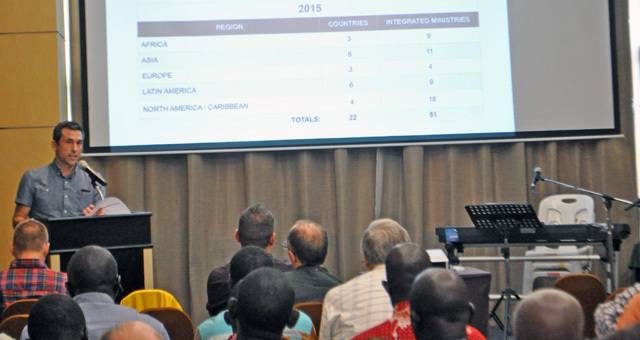 Delegates from around the world have gathered to consider, improve and endorse the Charis Commitment to Common Identity.